On May 25th, 1921, the last major action by the IRA in the War of Independence took place when almost 300 men and many women took part in an attack on Dublin’s Custom House, the financial heart of British rule in Ireland, intent on burning all documentation therein – the culmination of a concerted plan of attack on tax offices through-out the country. The action was a complete success, the building was burned and most documents within, at great loss to the British regime. However, success came at a cost – five of the attackers lost their lives. 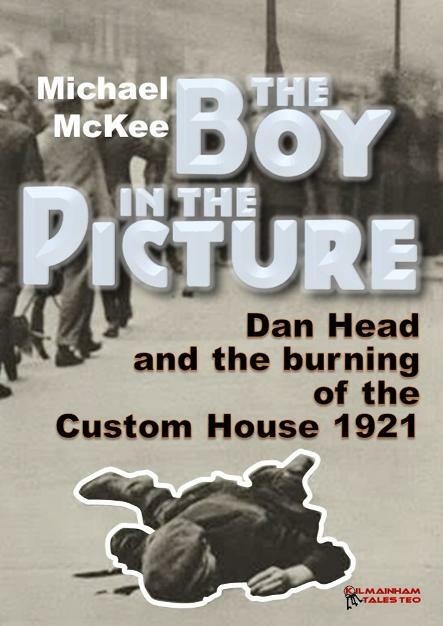 One was ‘the boy in the picture’ Dan Head – just 17. In this brutally honest biography, Michael McKee was aided by a memoir written by his uncle and Dan’s brother, Antoine Head. Read here about Dan’s prize-fighting father, his Flemish-speaking sister, and the family connection to an undertaker. But the heart of this story is that of a brave young lad, a talented footballer and carpenter, who gave his life to free others.